Fighting Has Forced More Than 1.5 Million Syrians To Move, U.N. Says : The Two-Way The ongoing crisis is underscored by the enormous number of people who have been forced to flee their homes. While nearly 150,000 have sought refuge in other countries, far more have been uprooted but remain in Syria. In northwestern Syria earlier this year, this man and boys fled fighting. -- An estimated 1.5 million Syrians have been "internally displaced" because of the fighting between forces loyal to President Bashar Assad and those who oppose him, according to Chaloka Beyani. He is the U.N.'s special rapporteur on the human rights of internally displaced persons. The figure refers to "persons or groups of persons who have been forced or obliged to flee or to leave their homes or places of habitual residence, in particular as a result of or in order to avoid the effects of armed conflict, situations of generalised violence, violations of human rights or natural or human-made disasters, and who have not crossed an internationally recognised state border," according to the Internal Displacement Monitoring Center. 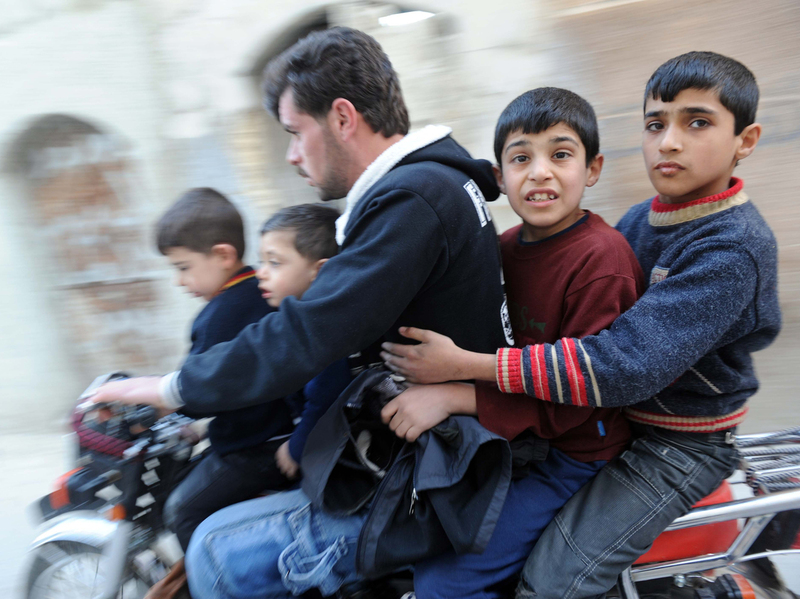 According to the CIA's World Factbook, there are about 22.5 million people in Syria. So, about 6.7 percent of the population has been uprooted. -- As of Thursday, 146,667 Syrians had sought help at refugee camps in Lebanon, Turkey, Jordan and Iraq. The largest number — more than 50,000 — are in Turkey. Meanwhile, NPR's Anthony Kuhn reports from his listening post in Beirut that "in Aleppo, activists say Free Syrian Army rebels beat a tactical retreat from the Salaheddine neighborhood on Thursday in the face of heavy bombardment from government warplanes and artillery. Activists say the rebels are now regrouping in an adjacent neighborhood and planning a counterattack."